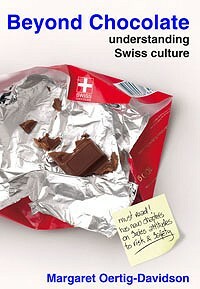 Wanting to better understand the Swiss and their culture? Curious about certain traditions and habits? Immerse yourself in the cultural attitudes of Switzerland’s fascinating, multifaceted society. This study exposes different attitudes and potential misunderstandings about friendship, neighbourliness, being professional, giving and getting compliments and criticism, parenting, schooling, being polite, entertaining, decision making, etiquette, leadership, making plans and much more. The latest edition contains two chapters about the Swiss approach towards risk and safety such as natural dangers, playing with fire, exposing children to risks like saws, drills and knives at school, the risks on playgrounds, or alpine risk assessment. Sound exciting? Read it for yourself!